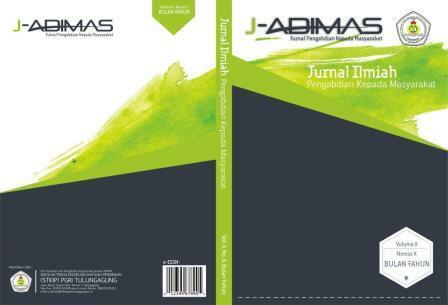 Journal of Community Service (J-ADIMAS) STKIP PGRI Tulungagung publish all the results of community service activities as outlined in the form of journals. Journal of Community Service (J-ADIMAS) STKIP PGRI Tulungagung is published 2 times a year ie in July and December e-issn: 2613-9103. The scope of the journal covers the fields of science education, knowledge and technology as well as various innovations and solutions in various problems in society.